A 3. 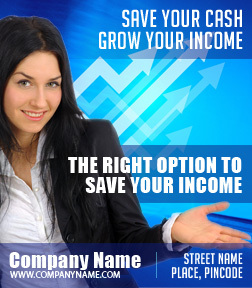 5 x 4 inches finance promotional magnet with square cornered edge can be sought by advertisers running their own financial services. This magnetic token makes a best brand promotional tool and advertisers seeking it in bulk can always make savings on areas like customization fee. Free shipping, free design, and free art set up are some of the other perks offered with these magnets.